All mining activities use water in production processes. In some regions, mines operate in semi-arid and even desert conditions, with no direct access to water supplies. In many areas in Latin America and Southern Africa, the only available water source is sea water, often many miles away. This requires transport and desalination of seawater for mining processes. Coal and metal mining activities produce contaminated water high in sulphates and metals. This water is referred to as acid mine drainage. Increasingly restrictive legislation for usage and reclamation standards for wastewater means that mines are responsible for treating and reusing or disposing of this contaminated water properly. X-Flow is currently involved in the development of UF technology for the recovery of mined resources from waste streams. Trials are currently underway for recovery of gold, copper and uranium. 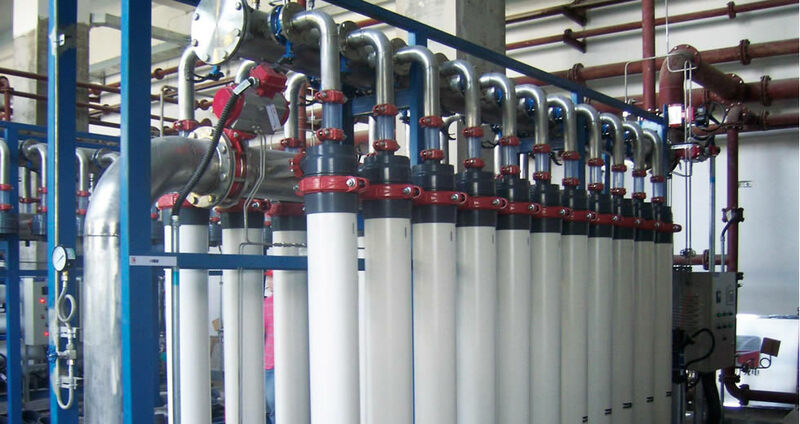 X-Flow ultrafiltration (UF) membranes are the preferred technology for pretreatment to seawater reverse osmosis (SWRO). X-Flow Seaguard and Seaflex membranes provide superior reverse osmosis (RO) feed water, resulting in fewer RO cleans, extended RO membrane life and lower total cost of ownership. X-Flow membranes are also valuable tools in the treatment of mining wastewater, including the treatment of tailings and acid mine drainage. The X-Flow Aquaflex module is the most widely used UF membrane in acid mine drainage treatment. These capillary UF membranes serve as pretreatment to reverse osmosis (RO) systems on AMD plants producing water for industrial and domestic reuse from AMD.